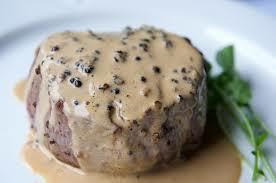 National Steak Au Poivre Day in the United States is observed on 9 September. National Steak Au Poivre Day is an unofficial food holiday celebrated in the United States. As one of the biggest consumers of red meat in the world, the U.S. has perfected the art of creating this French steak. Steak au Poivre is a traditionally French dish that translates to mean a pepper steak. Customarily, the steak used is a filet mignon that has been smeared with cracked black peppercorns and cooked at a high heat. The peppercorns create a crust on the outside of the steak when cooked and delivers a harmonizing flavor to the already rich flavor of high quality fillet. Although it is popular among French restaurant patrons, the recipe remains a simple one and the steak can be made in the home quite easily. The crust is made by putting the steak in a mixture of crushed peppercorns. The steak is then placed in a hot skillet with a small amount of oil or butter. It is seared on all sides to create the perfect sear and crust for the steak. If the perfect sear is achieved, then the inside of the steak should be rare or medium rare. Once the sear has been completed the steak is set aside to rest untouched, for quite a few minutes before it is served. The rest time allows the steak to finish cooking and allows all the juices to really soak into the steak. 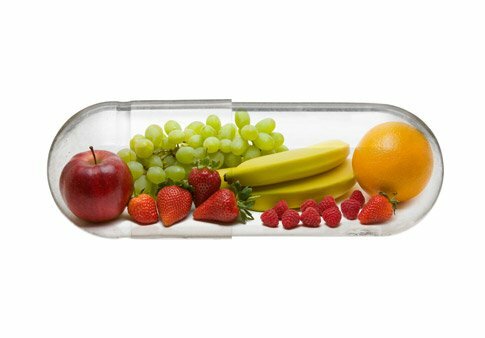 If the steak is not allowed to rest and is cut into, the cook can lose a lot of flavorful juices and the plate will not be as good. Steak au poivre is served alongside a peppercorn sauce. This sauce consists of a heavy cream, reduced cognac, and the butter peppercorn mixture that the steak was seared in. Shallots and Dijon mustard can be added as well. This sauce is normally served on top of the steak. Side dishes are also a must when serving steak au poivre. One of the most popular side dishes is mashed potatoes covered with the pan peppercorn sauce. There are many ways that people might choose to observe National Steak Au Poivre Day. The agreed upon best way to celebrate National Steak Au Poivre Day is by indulging in the French dish. This steak is a delicate balance of different tastes and textures and would be the perfect star for any impressive meal that you put together. With the addition of sides, the steak au poivre creates a meal that can be enjoyed year round, especially on National Steak Au Poivre Day. The application for this steak is relatively easy and you can adapt the recipe to fit your needs and any dietary restrictions that you or your family might have. The secret to the steak is obtaining the perfect sear and only practice makes perfect. This steak is easy to create because all the ingredients involved are readily available. If all else fails, take a trip into your favorite French restaurant and you are sure to find steak au poivre on the menu.